Collection of hacked voice recorders. 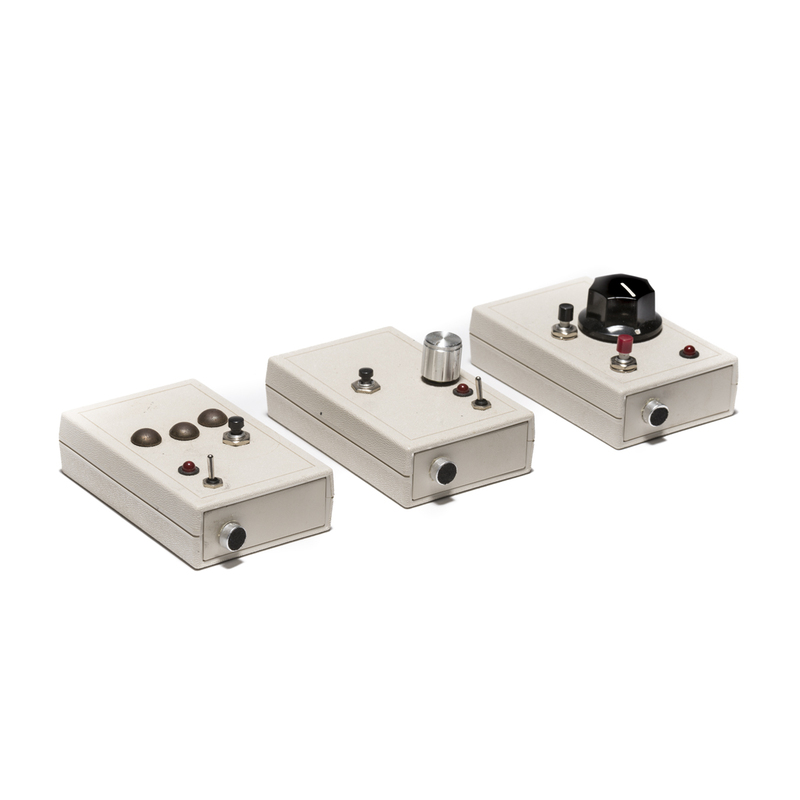 Designed as a collection, each has unique controls for providing simple interaction with freely recordable signal. No electronic signal input or output connections are provided. Input must be acoustic; output must be acoustic or electromagnetically coupled through coil pickups or inductor table.